Have you received a debt collection letter or are you getting calls from Credit Resource Solutions Ltd? Do you need advice & help on how deal with Credit Resource Solutions (CSR)? Below you'll find out everything there is to know about Credit Resource Solutions (CSR), including their contact and address information. Who are Credit Resource Solutions (CSR)? Credit Resource Solutions Ltd who are also known as Credit Resource Solutions (CSR), are a company that specialise in collecting payments of debts owed by individuals. They collect debts on behalf of companies like Zopa loans, Swinton Insurance, Lending Stream, First Utility and the like. Chances are they are calling or writing to you because they believe you owe money. The original debt won’t be to Credit Resource Solutions (CSR), which is why you may not recognise the name. If you have been contacted by them, you have to make a decision on how to deal with them. Do you actually owe them any money? Credit Resource Solutions (CSR) are just a debt collection agency, and therefore have to provide clear evidence that you owe the money. Just because they keep calling or are writing you letters stating that you owe them money, does not mean you actually do. YOU MUST CHECK! How old is the debt they are collecting? 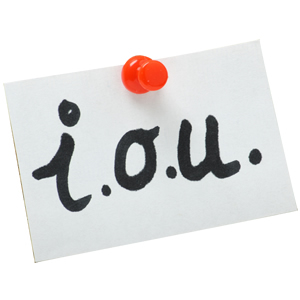 It could be statute barred, which means you no longer owe it. If you do owe them money then do not enter into an agreement with them before you have taken advice. This will make sure that they can prove that you actually owe the debt, and if so, that you get an agreement which is affordable for you. 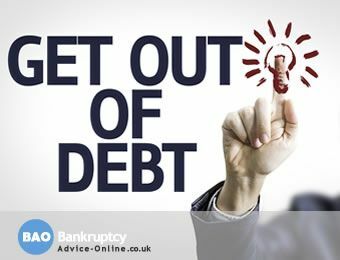 Too often people are pressurised into paying the amount the debt collection agency want them to pay, even if they really can't afford to pay that much each week or month. Our experts deal with Credit Resource Solutions (CSR) every day, and can quickly help you determine if the debt is statute barred, in which case you won't have to pay anything. If you do owe the money then we can also give you a FREE financial assessment, which you can then send to Credit Resource Solutions (CSR). This will make sure that if you do owe them money you onlt enter an agreement to repay on YOUR TERMS, at a rate you CAN AFFORD, rather than the one they may suggest. Even if you have already entered an agreement with them, we may still be able to help you if you are struggling with the current payments. Fed up of constant letters and calls! Do you even owe them? FREE check to stop the calls & collection action NOW. What can Credit Resource Solutions (CSR) do? The FCAs debt collection rules and guidance sets out minimum standards that companies like Commercial Collection Services must adhere to in order to be considered fit to operate as a debt collector. Under the FCA rules, they can not claim unfair or excessive collection charges, they can not harrass you, they can't threaten to seize your property (when lawfully they cannot), they can not bypass an appointed representative and contact you directly. The FCA also bans debt collectors from threatening legal action when it is unlikely to take place. If you're one of the many people being sent constant letters, text messages and not answering your phone without looking at "whocallssme.com" in order to avoid the many (and we mean MANY) phone calls by debt collectors, keep reading, WE CAN HELP. If you have received a letter about a debt you don't recognise or think you've paid off, you need to read our 11 steps to deal with debt collectors. It explains exactly what they can do and how to dispute a debt and how to handle their calls and letters. Please note that we are not associated with Credit Resource Solutions Limited in any way. The information on this page is provided to help people contact their creditors. If you’re finding it difficult to make your monthly payments to Credit Resource Solutions (CSR) you may need help looking at your budget and managing your debt. We deal with such companies all day, every day and we know exactly how to approach them. If you’re struggling to repay a debt and would like us to deal with Credit Resource Solutions (CSR) on your behalf, or simply need a bit of advice, just click on the GET HELP NOW button below. Need Help With Credit Resource Solutions (CSR)? If you want more help on dealing with Credit Resource Solutions (CSR), call our FREE Helpline on 0800 368 8133 (freephone, including all mobiles) or take the online debt test and find your best solution. Need help with Credit Resource Solutions (CSR)? Complete the form and one of our advisors will call you back.